Posted on April 26, 2015 by Notorious B.U.D. Vanity may be a sin but it’s not a crime. Despite what you may have been told by Bud Selig and Major League Baseball, Alex Rodriguez is not the devil. In a sports world filled with murderers, wife-beaters and drunk drivers, the vilified Yankees’ slugger worst sin was trying to gain an advantage on the field of play. If the NFL put the same amount of effort towards curbing domestic violence as baseball did building a case against A-Rod, would the headlines still be smattered with stories of Ray Rice and Greg Hardy? Yet, in spite of the relatively benign nature of his transgressions, Rodriguez was forced to spend all of last season in baseball purgatory. MLB and Selig seemed to think it could solve its steroid problem by casting all the blame on one player (it’s not the first time) and then publicly flogging their artificially enhanced pariah. It, uh, didn’t work. The 2015 season rolled around after what must have felt like an eternity, and A-Rod, healthy and freed from the tyrannical reign of Selig came out swinging, reminding fans that he’s still one of the most talented players in baseball — with or without performance enhancing drugs. 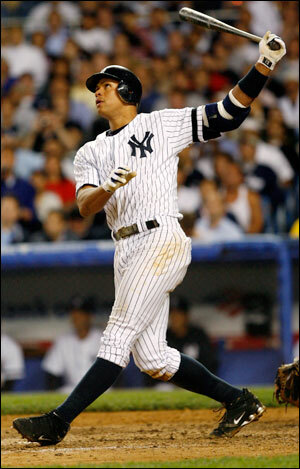 After the first 19 games of the year, A-Rod leads the AL in walks and is 4th in HR, 9th in slugging and 10th in OPS. His fast start to the season is even more impressive when you consider that he missed all of 2014 and plays for a team that really doesn’t want him around. Rodriguez’s superlative skill set was on full display at Tampa Bay on April 18 as he drilled two home run including the longest shot of 2015. That moon shot not only gave New York a 1-0 lead, but also served as metaphorical giant middle finger to Selig, who likely thought he had hammered the final nail into A-Rod’s career with a 162-game suspension. The Yankees weren’t expected to compete in a deep AL East this year but thanks to A-Rod’s potent presence in the lineup they find themselves atop the division with an 11-8 record. New York may not want Rodriguez, but it needs him. Rodriguez is a cheater and a liar. But he’s also a helluva baseball player who’s overcome Titanic sized hurdles to find himself on the brink of history. The national pastime’s prodigal son has returned and he’s not leaving anytime soon. So go ahead and cheer for A-Rod, because unlike the real criminals of sport, he deserves a second third chance. This Just Doesn’t Feel Right: Milwaukee Brewers to Build Statue of Bud Selig Outside of Miller Park. Posted on February 9, 2010 by Notorious B.U.D. I know Bud, I can't believe they're building a statue of you either. Perhaps it’s because of his movie star looks. Maybe it’s on account of his turning a blind eye to steroids while baseball bulked up and ultimately tarnished two decades of the sport. Or it could just be that the team had some leftover bronze. Whatever the reason, the Milwaukee Brewers decided that they owed it to Bud Selig to erect a seven-foot tall statue of the commissioner outside of their home stadium, Miller Park (I promise never to use the words “erect” and “Bud Selig” in the same sentence ever again). Selig’s statue will join that of former players Hank Aaron and Robin Yount in some sort of bizarre baseball ménage à trois. Selig is a former owner of the Brewers that led a group of investors who purchased the bankrupt Seattle Pilots and moved the franchise to Milwaukee. According to current owner Mark Attanasio, “The Brewers and Miller Park are in this city because of the commissioner’s vision and dedicated efforts”. Be that as it may, does Bud Selig really deserve a statue? Selig has done a few good things as commissioner, most notably the institution of the Wild Card, which has helped add parity to a sport ruled by those with the biggest bankrolls (look no further than the Florida Marlins World Series titles in 1997 and 2003). On the other hand, Selig has also presided over some pretty boneheaded decisions, such as ending the 2002 All-Star game with a 7-7 tie (at Miller Park of all places) and then “resolving” this issue by giving the winner of the All-Star game home field advantage in the World Series (this time it counts–yeah sure). 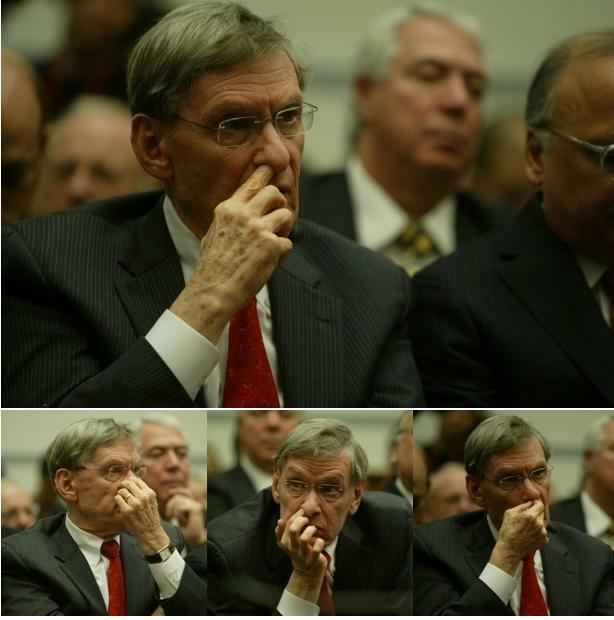 Selig has come under intense scrutiny for his role in the steroids era, and rightfully so. He was in bed with Mark McGwire and Sammy Sosa throughout 1998 and then feigned surprise and disgust when the truth about PED’s couldn’t be hidden any longer. 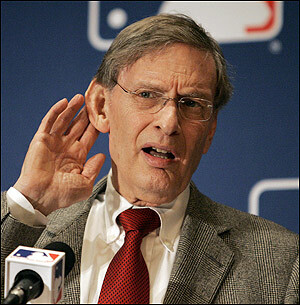 Selig’s not a terrible guy, but he is a terrible liar. Mark your calendars for August 24th and then make sure you’re not in Milwaukee. That’s the date Bud Selig will be revealed in all his glory. Let’s just hope it doesn’t take long for some vandals to get ahold of that statue. Ken Griffey Jr. is the Most Important Player in Baseball. Here’s Why. Posted on January 27, 2010 by Notorious B.U.D. At 40-years-old, Ken Griffey Jr. is primed for the most important season of his career. Ken Griffey Jr. is no longer “the Kid”. He won’t be climbing walls and stealing would-be home runs or depositing 40+ souvenirs into the outfield stands in 2010. Junior will huff and puff trying to score from second on a single, struggle to catch up with above-average fastballs and will likely spend more time on the bench than he does on the field. Yet, despite all the shortcomings of his 40-year-old body, Ken Griffey Jr. has never meant more to the Seattle Mariners or the sport of baseball than he will in 2010. The Mariners enter the season as a threat to win the AL West and a dark horse (though that term is forever soiled by the latest Nickleback album) to make a deep postseason run. The roster has been completely overhauled by new GM Jack Zduriencik and the additions of Cliff Lee, Chone Figgins and Milton Bradley give Seattle an even more talented roster than the one that went 85-77 last year. However, no offseason move was more important to the Mariners and their fans than bringing back Griffey for the 2010 season. Junior completely transformed the Mariners last year, turning a dugout that looked like a crypt into somewhere more fun than an episode of MXC. For the first time in years Seattle players looked like they were having fun in 2009 (heck even Ichiro smiled, and he was diagnosed with a rare condition that makes it extremely painful to show any emotion) and it’s impossible to overstate how important chemistry was to the Mariners’ success last season. 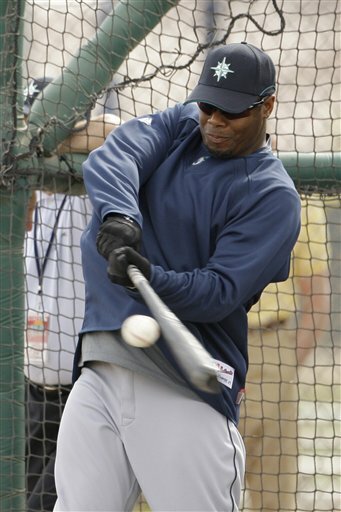 Ken Griffey Jr. makes me want to be a better man. Griffey will once again be counted on as the unquestioned leader of the Mariners in 2010, and will have his work cut out for him with the addition of the mercurial Bradley, a talented but troubled player who needs to perform at a high level if Seattle is to succeed in a competitive AL West. If the Mariners do manage to win their division (because the Wild Card will come out of the AL East), Junior is one of just a handful of players on the team with any prior postseason experience and the only remaining link to the Mariners’ magical 1995 season. Griffey is part player, part coach and part class clown—and Seattle needs him to fulfill all three roles if the team hopes to return to the playoffs for the first time since 2001. Junior is integral to the success or failure of the Mariners in 2010, but he is even more important as a symbol of hope for the still tarnished sport of baseball. Though Major League Baseball would like to continue to sweep the issue of steroids under the carpet, Mark McGwire’s return to the game has once again brought the taboo topic to the forefront of fans’ minds. Nearly every prolific home run hitter from the last two decades (Barry Bonds, McGwire, Sammy Sosa, Rafael Palmeiro, Manny Ramirez, etc.) 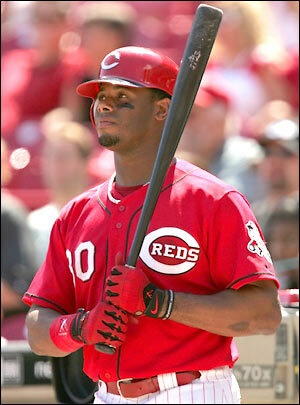 has been linked in some way to steroids or other performance-enhancing drugs…but not Ken Griffey Jr. He stands above the fray as a man who played the game of baseball the right way, and by not aging gracefully, Griffey in fact aged gracefully. Junior’s head didn’t grow while he was in his 30’s and he peaked when he was 28 or 29, not 38 or 39 (cough Barry Bonds cough). Ken Griffey Jr. is the lone source of light in the darkness that envelops the steroids era and has shown other players and the young kids that look up to him that success can be found without the help of a needle. Griffey took the responsibility of being a role model seriously, and if there is anything that baseball can salvage from the past twenty years, it’s thanks to Junior. Hopefully baseball fans give Griffey the farewell he deserves this season. He’s done more for the game than we may ever know. Posted on January 3, 2010 by Notorious B.U.D. 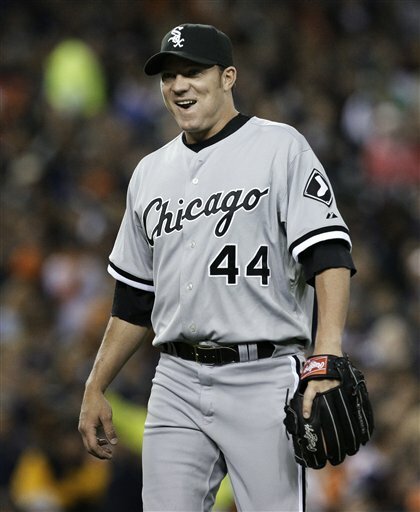 It will be a break or make season in 2010 for Jake Peavy and the White Sox. 5.) Jake Peavy/Alex Rios: Both of these players will feel intense pressure to perform in 2010 after failing to live up to expectations last season due to injuries (Peavy) or inconsistency (Rios). Chicago GM Kenny Williams has so much invested in these two players that if the White Sox struggle to compete in the AL Central this year, both his job and that of manager Ozzie Guillen could be in serious jeopardy. Peavy never really got a shot to prove himself last season after being acquired in an unexpected deal with the San Diego Padres, but since he will be receiving around $11 million in 2010, the 28-year-old right hander will be under the microscope as he tries to transition from the NL to the AL, and from a spacious ballpark to a bandbox in Chicago (Career Home ERA: 2.82 vs Career Road ERA: 3.79). Rios played much more like Alexis than Alex after being claimed off waivers from the Blue Jays, hitting only .199 for the White Sox in 146 ABs. He’s also due a sizable chunk of change over the next few seasons and Chicago needs him to improve drastically in 2010 or the team will be out of contention and cash for years to come. 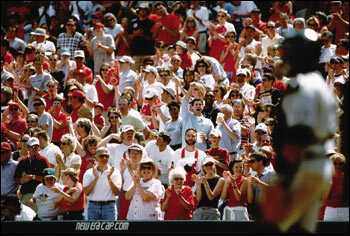 Besides, what would the baseball world be like without… Ozzie Guillen? Nearly invisible to the naked eye, Josh Johnson might have to switch leagues before anyone notices him. 4.) 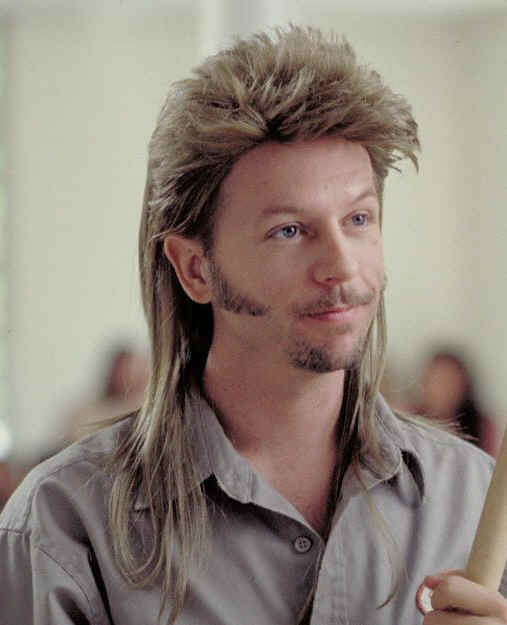 Josh Johnson: Who is Josh Johnson you say? Well, he’s not one of four quarterbacks for the Tampa Bay Buccaneers whose first name is Josh, although he does make his living in the same state. He’s also not one of 20 people in your hometown with the name Josh Johnson, unless you happen to live in Jenks, Oklahoma. No, the real Josh Johnson is an emerging star pitcher for the Florida Marlins who has gone 22-6 over the past two seasons, including a 15-5 record, 3.23 ERA and 191 K’s in 2009. 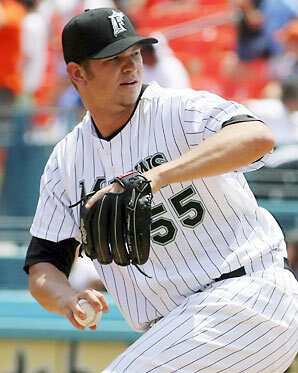 While Johnson has managed to fly under the radar his first five seasons in baseball, the 25-year-old flamethrower (who owned the third fastest average fastball in baseball last year) is ready to take America by storm, especially after the Marlins trade him to the Red Sox or Yankees. That’s right, just like every talented Marlin before him, Johnson is quickly becoming too expensive for Florida and is on his way to greener pastures (or at least more greenbacks). If the Marlins don’t sign him to a long-term deal before the season starts, expect Johnson to be making headlines for someone in the AL, and to finally receive the attention he deserves. 3.) Cliff Lee: Cliff Lee did everything he could to guide the Phillies to another World Series title in 2009, pitching like a true ace down the stretch run and throughout the playoffs. But as suddenly as he appeared in Philadelphia, he was gone. In the biggest deal of the offseason, the 2008 AL Cy Young Award winner was shipped to Seattle in a three-team trade that saw Roy Halladay (more on him later) head to Philadelphia. Understandably, Lee was both shocked and upset by the blockbuster deal, but he lands in an ideal situation with the Mariners, a team on the rise in the AL West. The 31-year-old lefty will be a free agent after the season, and between feeling slighted by the Phillies and pitching for a new contract, Lee should have all the motivation he needs to be on top of his game in 2010. If Seattle can reach the playoffs (a distinct possibility in a weak division), the one-two combination of Felix Hernandez and Lee could prove lethal in a short series. Look for Lee to challenge for the 2010 AL Cy Young award, collect a $100 million dollar contract after the season and change his middle name to something other than “Phifer”. You see, he's not a machine! At least, not fully. 2.) Albert Pujols: Albert Pujols is so good he’s boring. Heck, the guy makes Tim Duncan look like Bill Murray, but that hasn’t stopped him from etching his name in history has one of the greatest right-handed hitters to ever play the game of baseball. Pujols made a serious run at the Triple Crown last year and after off-season elbow surgery and with the strong possibility of Matt Holliday returning to St. Louis, he should be even better in 2010. With the current home run king (Barry Bonds) and the heir apparent (Alex Rodriguez) both bigger juicers than Jack LaLane, baseball is counting on Pujols to led the sport out of the steroid era and into a golden age of prosperity, or something like that. 1.) Roy Halladay: After 2010, there will be no debate as to who is the best pitcher in all of baseball; Roy Halladay will be number one with a bullet. Halladay has consistently shown himself to be a top-tier starter despite pitching in the most difficult division in baseball, the AL East, and now finds himself in the National League where he won’t even have to face the NL East’s best offense (it’s his own team, the Phillies). In 2009, the four teams that Halladay faced in the AL East combined to score 3,331 runs in 2009—the four teams in the NL East that he will face in 2010 scored only 2,888 runs last year. The talent gap between the two leagues is wider than Christina Ricci’s forehead the Suez Canal, and Halladay has an opportunity to be historically great in 2010. “Doc” will challenge for career highs across the board, lead the Phillies to another World Series and post the majors first sub-2.00 ERA since Roger Clemens in 2005. Shamwow! Cards are Stacked: Can Albert Pujols Capture the NL Triple Crown? Posted on June 29, 2009 by Notorious B.U.D. Well, the secret is finally out. Albert Pujols is a machine. Although ESPN may have been first to officially break the news, it shouldn’t come as much of a surprise to anyone who has followed baseball since 2001. After all, in 8+ seasons Pujols has been the best in the game, averaging a batting line of .334-43 HR-129 RBI-124 R; a feat unmatched in the history of baseball and an accomplishment unthinkable for any mere mortal. Even though Pujols is stuck in a rather pedestrian St. Louis Cardinals’ lineup (though the recent addition of Mark DeRosa should help), last year’s NL MVP continues to prove that he is the best hitter in the game today, and arguably one of the greatest right-handed hitters in the history of baseball (move over Greg Vaughn Jimmie Foxx). After going deep twice against Minnesota on Saturday, Pujols was hitting .328 with a league leading 28 HRs and 78 RBIs, despite already drawing 59 free passes. As the season moves closer to the midway point, and Pujols continues to mash at the plate, is it time for the Triple Crown talk to begin? It seems every few seasons there’s a player in baseball who jumps out of the gates quickly only to fade in the dog days of summer (i.e. Derek Lee in 2005), but Pujols is clearly in a league of his own and shows no signs of slowing down (12 HRs in 88 ABs in June). It’s been 72 years since the last NL Triple Crown winner, and strangely enough it was another Cardinal. Joe “Ducky” Medwick had a season for the ages in 1937, hitting .374 with 31 HRs and 154 RBIs (numbers which, besides the HRs, would probably still lead the league today). So, is it in the cards for St. Louis to have another Triple Crown hitter in 2009, or will Pujols find leading the lead in the three major batting categories impossible even for a machine? Pujols will have to stay on fire all season long for the NL's first Triple Crown since '37. Homeruns (28-1st in NL): Believe it or not, Pujols has never led the league in HRs, although in his defense he did play in the NL during the peak of Barry Bonds’ accidental steroid usage power barrage. The closest Pujols has come is finishing tied for second in 2004, hitting 46 HRs to Adrian Beltre’s 48 (loud groan from Mariners’ fans). Pujols’ current HR rate puts him on pace for 59 longballs which would almost assuredly lead the NL. His closest competition at this point in the season are Padres 1B Adrian Gonzalez (24 HRs), Phillies OF Raul Ibanez (22 HRs), Diamondbacks 3B Mark Reynolds (21 HR) and Phillies 1B Ryan Howard (20 HRs). Ibanez has been on fire all season long but is currently stuck on the DL, and at the age of 37, is not likely to keep up with Pujols as the summer drags on. Reynolds definitely has some pop in his bat when he hits the ball (his 102 Ks lead the league by a wide margin) but is too inconsistent and will have too many slumps to lead the league in longballs. Gonzalez will probably set a career high in HRs this season but has little protection in the San Diego lineup (he leads the league in BBs) and has slowed considerably since hitting 20 HRs in the first two months. The player with the best shot out of this group to keep Pujols from topping the NL in HRs is Ryan Howard. Howard is one of the game’s best sluggers, averaging 51 HRs a season over the past three years, while leading the league in 2006 and 2008. He plays in a homerun friendly ballpark and hitting between Chase Utley and Ibanez sure doesn’t hurt, but like Reyolds he is prone to the punchout and is already 8 HRs behind Pujols. Will the world's biggest vegetarian play spoiler this season? Runs Batted In (74-1st in NL): RBIs are another statistical category that Pujols has never led the league in due in large part to the Cardinals lineup(s) and the fact that he draws so many walks (24 intentional walks already); he has finished 2nd three times (2002, 05, 06). His 74 RBIs have him on pace for 157 total, yet he leads Milwaukee’s Prince Fielder by just one RBI. Besides Fielder, no one in the league is within 15 RBIs of Pujols, with Ibanez (59) and Howard (59) the closest behind. It will likely be a two-horse race all season long and could come down to which player has more chances with runners in scoring position. As mentioned before, Pujols hits in an average Cardinals’ lineup, typically manning the #3 spot behind leadoff hitter Skip Schumaker (.358 OBP) and Colby Rasmus (.307 OBP). Fielder on the other hand hits in a solid Brewers’ lineup and is entrenched in the cleanup spot behind Craig Counsell (.368 OBP), JJ Hardy (.299 OBP) and Ryan “Brains &” Braun (.416 OBP). Neither hitter has great protection behind them in the order, leading to their inflated walk totals. This might be the most difficult leg of the Triple Crown for Pujols to capture but his chances have been bolstered thanks to the Redbirds addition of Derosa. Batting Average (.328-8th in NL): Despite the fact that he is currently behind 7 other players, Pujols will probably have the easiest time winning the batting average portion of the Triple Crown. Why? Well, for one thing Pujols’ career .334 average is the highest among all active players and he’s already captured a batting title (2003) and finished 2nd two other times. Additionally, despite the fact that he is hitting a robust .328 on the year, Pujols has suffered from bad luck so far. His BABIP (batting average on balls in play) is only .277 this season, which is 40 points lower than his career .317 BABIP meaning that Pujols should be due for an upswing in average soon. Most of the players ahead of him in batting average (Pablo Sandoval, Miguel Tejada, Cristian Guzman and Carlos Beltran) are hitting well above their career numbers, and are likely to regress in the coming months. Pujols’ primary challengers for the batting title are Mets 3B David Wright (.342) and Florida SS Hanley Ramirez (.333). While Wright has sacrified his power for contact this season (just 4 HRs), the results have paid off so far. However, a recent 0-11 slide has chopped 14 points off his average and he seems to be coming back down to earth after a torrid May and early June. Ramirez is no slouch either, a .311 career hitter who topped out at .332 in 2007. He has been hitting well since a slow start, but his .360 BABIP will be difficult to maintain throughout the course of the year. The NL's last Triple Crown winner, Ducky Medwick. Pujols definitely has the career numbers, positive statistical trends and talent to put him on pace for the NL’s first Triple Crown in 72 years. He’s proved season after season that he is a special talent and is virtually peerless at the plate in baseball. However, there is a reason that no one has captured the NL’s Triple Crown since 1937–it’s not easy. It will be an uphill battle all season long for Pujols, with heated competition in all three categories, but if any player in the game today can do it, it’s Pujols. Because, if a machine can’t do it, who can?